This decade-old RD500 koncept render just got a fresh update for 2017. During the mid 80s Yamaha made lardy heavyweight XJ900s for bearded men to tour and commute on, but on the back of GP success they also created RD500LCs for big kids who could get a signature for the finance. 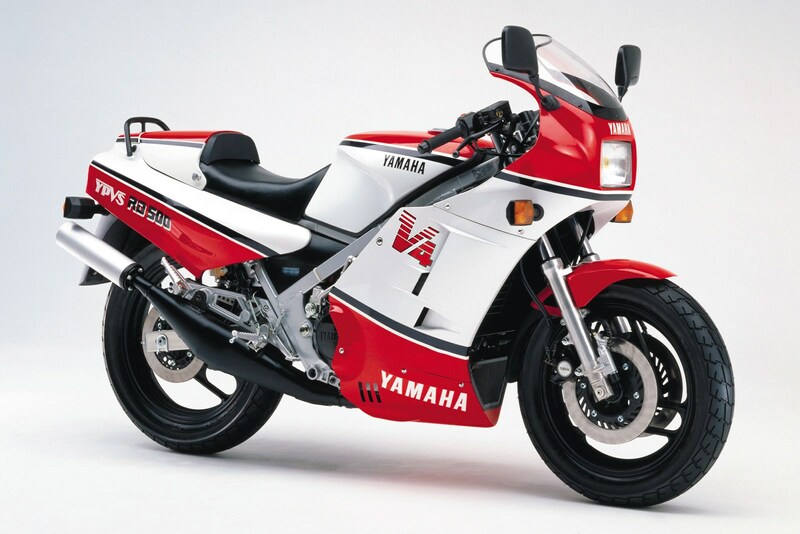 The V4 RD was a complex, chucked-together Friday afternoon job and while Suzuki’s later square four Gamma 500 was faster and angrier it didn’t matter – the Yamaha was first on the market. Sadly, the joy was short-lived for big two-strokes and emissions legislation meant the end of the road for the performance stinkwheel. 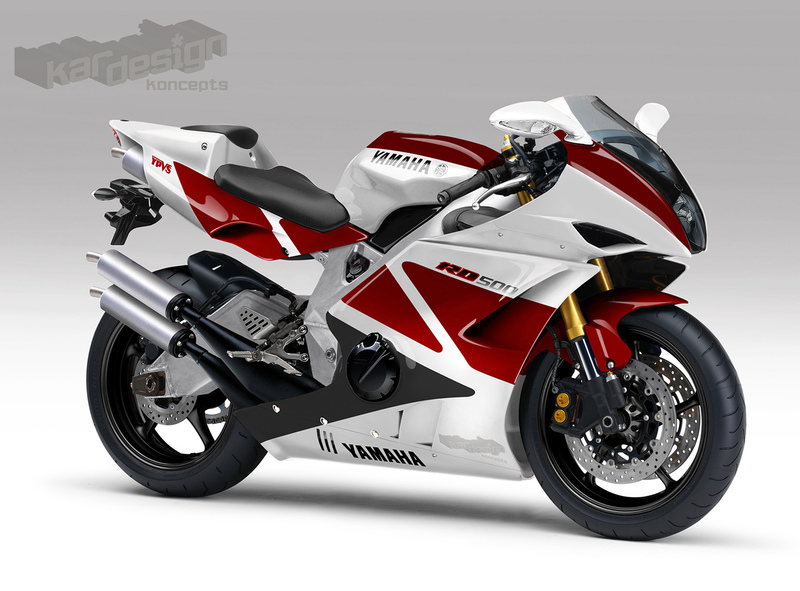 Until the day global warming is properly de-bunked by Donald Trump and the planet’s scientists we can but dream that Yamaha resurrect their biggest LC… but what a dream it would be. 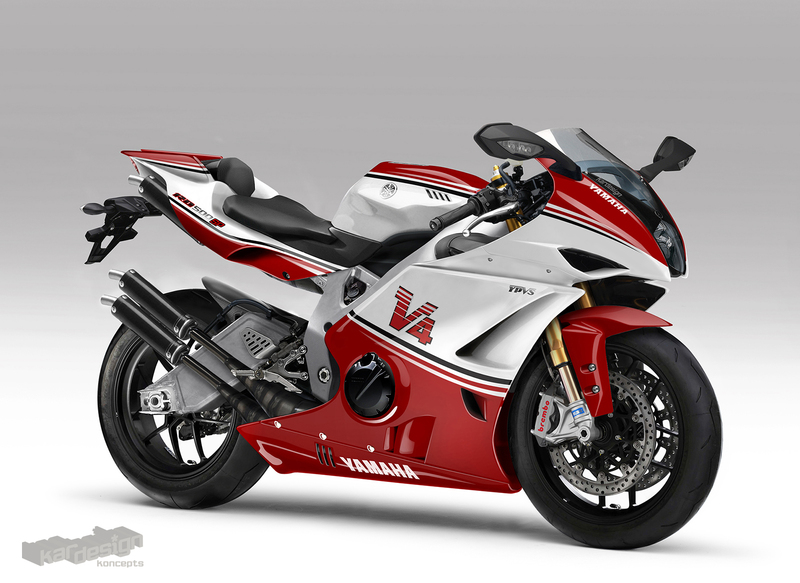 An evolution of the original RD500LC V-four but instead of making a feeble 80bhp, the engine is nearer to making a true rear-wheel, fuel-injected, ram-air 150bhp of YPVS momentum and a healthy 65lb.ft of torque. With the Suter 500 knocking out 200bhp we don’t think that’s an unrealistic figure for a reliable road-going bike. As before, the rear cylinder exhaust pipes cross over to ensure they’re the required length before exiting under the tail unit. Can you see the smoke and hear the burbling cackle from those four stingers? That’s the sound of the best power-to-weight ratio on any modern production bike. 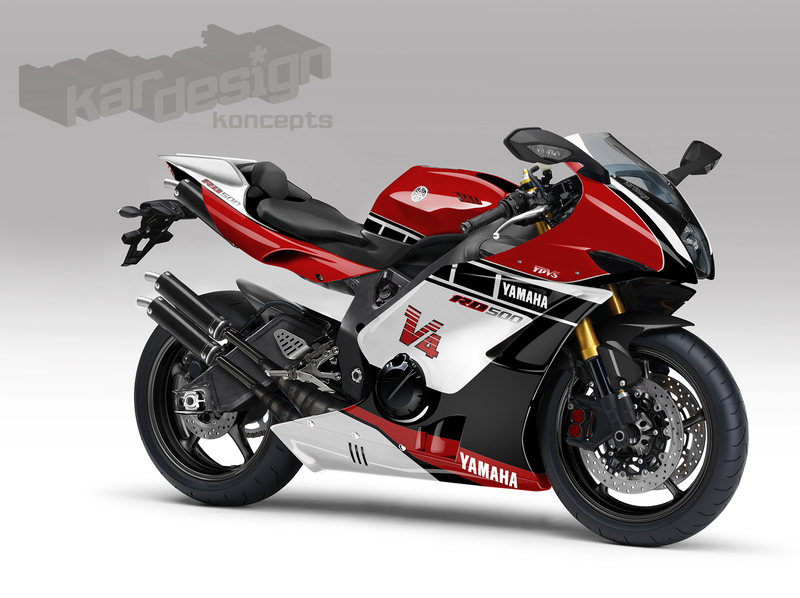 The chassis is a fusion of race YZR500 and R1 technology. Like the Japanese spec 1984 RD/RZ, this is lightweight alloy instead of steel as featured on the European bikes. 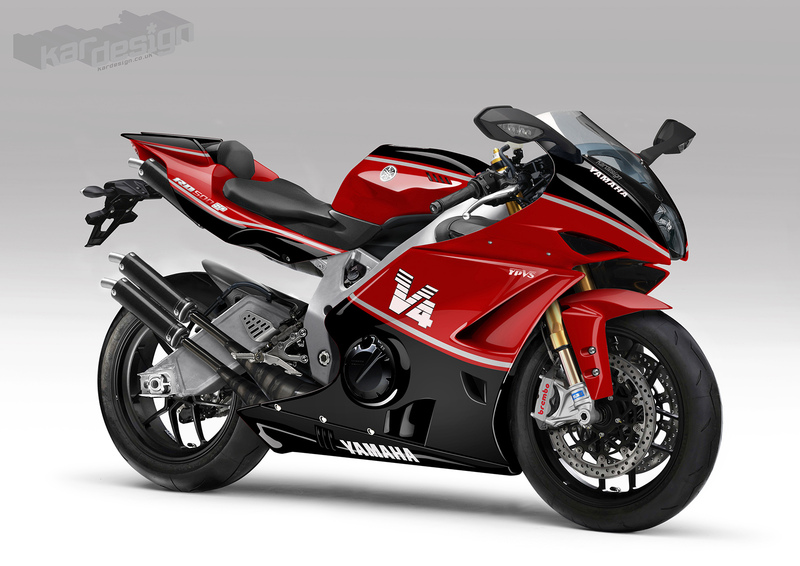 Suspension is from the Ohlins factory on the SP version and is adjustable for high and low-speed compression damping. You’ll find the rear shock in the traditional location behind the engine as opposed to underneath it as on the original, which would keep it cleaner. There’s no display-use-only anti-dive in the forks or fashionable-at-the-time sixteen-inch front wheel either, just good old 17-inch rims to take the latest rubber. With a compact V-four engine configuation heat extraction is an issue so the RD’s bodywork uses vents and funnels to move cool air around to where it’s needed and guide out warm air where it’s not. 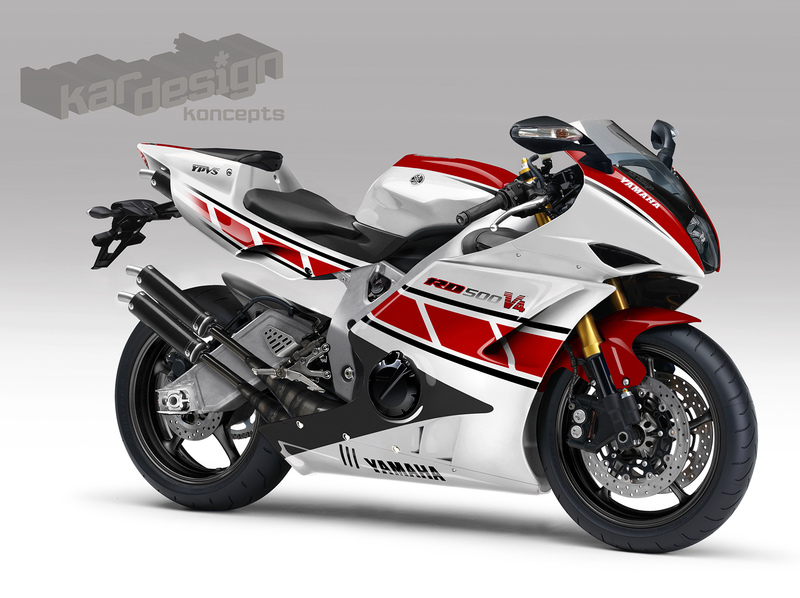 The fuel tank is inspired by the first-generation R1, four exhausts exit rearward while the seat pad opens to reveal a small storage space for a spare bottle of fully-synthetic two-stroke oil. We’d like to think that somewhere in another dimension, this bike exists and the existence of the Suter 500 gives us a glimmer of hope that one day this fantasy could become a reality. In the meantime, we’ll carry on dreaming.